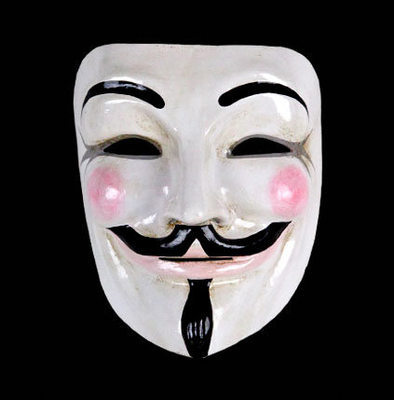 This is the famous V for Vendetta style full face mask, made to resemble the infamous Guy Fawkes. This stunning masquerade mask is beautifully painted & you will have the WOW factor!. This Vendetta mask has been handcrafted in the genuineVenetian tradition using a antique papier-mache former and the highest quality materials by the best mask makers in Venice however as this mask is handmade there will be imperfections but this makes the mask more unique!....Certified authenticity will be included. Just perfect as a mans mask & comes with traditional black satin ties, for a comfortable fit, this Venetian mask is perfect for your next Venetian masquerade party.